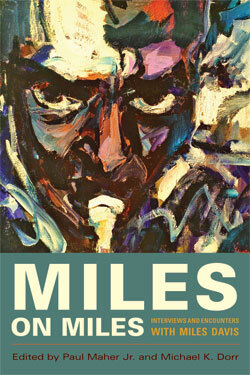 Miles on Miles is a collection of interviews with Miles Davis. The source of the interviews was varied: both published and unpublished; both written and radio interviews. The design needed to pull these styles together. The cover image is a painting by the artist Bruni. Published by Lawrence Hill Books, 320 pages, cloth with jacket.